Join us tonight on The Joe Show from FOX hit TV show 24 Kiefer Sutherland. Kiefer is on a music tour right now with his newest album and he talks about music and his acting career. From Love it or List it Vancouver Host Todd Talbot & our musical guest was the lead guitarist in the 80’s for Little Richard and he’s known for his blues music, Canadian Musician Azariah Paris. Joining us on The Joe Show tonight is Long Island Psychic Medium Theresa Caputo, Author Belinda Henderson & our Musical Guest Unkle Adams. Joining us on The Joe Show tonight is Canadian Actor, Producer, Director Gerald Auger to talk about his newest film, Radio Talk Show Host Kia D from Texas of The Kia D Show Unplugged joins us and our Musical Guest is Baby Phazz. Joining us on The Joe Show tonight is world renowned artist Yuval Ron & Dr. Rick Gold who have joined together in collaboration of making you feel at one and peace with yourself. Plus remember the comic strips Cyanide & Happiness. Well they are coming out with a new card game and Co-Creator of the Comic Strips Cyanide & Happiness Dave McElfatrick. Joining us on The Joe Show tonight is from the non-profit organization My Miscarriage Matters CEO Esther Stanard. Maybe you’ve known someone whose had a miscarriage or have gone through it yourself. It never is easy but there is qualified people to help you get through your loss. Esther talks about the organization open to all and the support they provide for absolutely free. Also joining us is Canadian Actor, Producer Rogan Christopher to talk about his upcoming projects and TV Shows and our Musical Guest is Christian Singer Songwriter Tony Watson. Joining us on The Joe Show this week is a follow up of Joe’s Keto OS Challenge with Dr. Donna Baer. Our musical guest this week is Metal Guitarist Xander Demos. This week is Holy Week leading up to Easter. On The Joe Show we speak with author Stephen Reed about his latest book called “My Half Brother”. This is a book about one of Jesus’ half brothers and about the stories Jesus has done through the eyes of James; his half brother. Our musical guest this week is Country Legend Ronnie McDowell known for some of his songs such as “The King is Gone” & “Older Women”. Ronnie has a new autobiography out that no music or Elvis Presley fan shouldn’t be without. It’s The Joe Show’s 2nd Annual Salute to Game Shows: Price is Right Uncensored Part 2 of 2! Our 2 hour special includes guests such as Former Executive Producer Roger Dobkowitz, Former Game Show Host Legend Bob Barker & Former Million Dollar Spectacular Announcer Randy West. You’ll hear stories about behind the scenes and stories of the longest running game show in TV History. Make sure to click on the archives and or hear the full 2 hours of this special on iTunes Podcasts for Free too. It’s The Joe Show’s 2nd Annual Salute to Game Shows: Price is Right Uncensored Part 1 of 2! Our 2 hour special includes guests such as Former Executive Producer Roger Dobkowitz, Former Game Show Host Legend Bob Barker & Former Million Dollar Spectacular Announcer Randy West. You’ll hear stories about behind the scenes and stories of the longest running game show in TV History. Make sure to come back next week to hear the continuation of Part 2 of our Salute to Price is Right! The Joe Show this week welcomes Dr. Donna Baer talking about a new health product that can help you lose weight. Joe will take on this challenge and show you the results each day through our facbeook page and his progress to show you how Pruvit Keto/OS works. 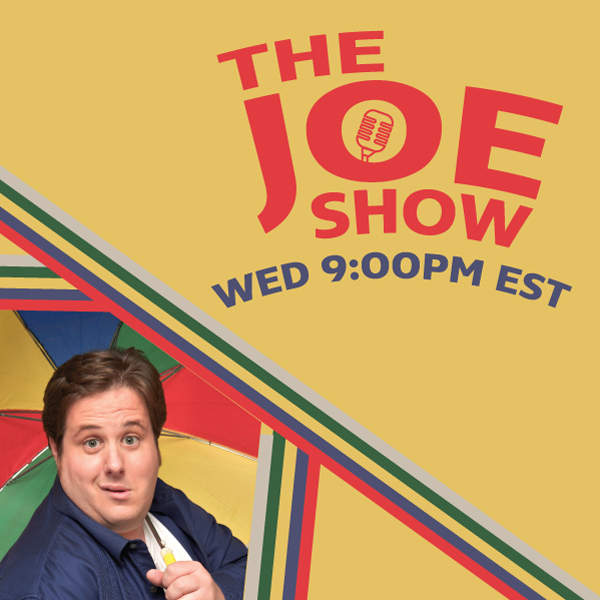 To follow Joe’s progress for the week after this broadcast go to The Joe Show Facebook page wwwfacebook.com/JoeShowLive We will then have Dr. Donna back on at the end of the month to talk about the results and what happened with Joe’s outcome. Also joining us is Comedian Tom Cotter from America’s Got Talent 7th Season who was the runner up of that season’s competition. Tom talks about his newest book & last week Donald Trump in Nevada at a rally threatened an individual who calmly asked about his ties being made in China. This protester was escorted out and we have Terry Betts with us exclusively.